There is a restaurant in Nashville that makes fried rice with bacon and eggs and it's truly one of the best things I've ever had. Since I'm avoiding grains I decided to remake that recipe with cauli rice. I have made this cauliflower rice breakfast stir-fry with several sets of ingredients, so instead of a recipe, this is more like a formula. Chop veggies while the bacon cooks. Remove bacon from the pan, but leave the grease in the pan. Season veggies with desired seasonings. Add cauliflower rice and chopped cooked bacon to the pan and mixed together with veggies. Saute until rice is fully cooked about 5 minutes. While veggies are cooking prepare an egg or eggs to put on top. Fried or poached eggs work best. 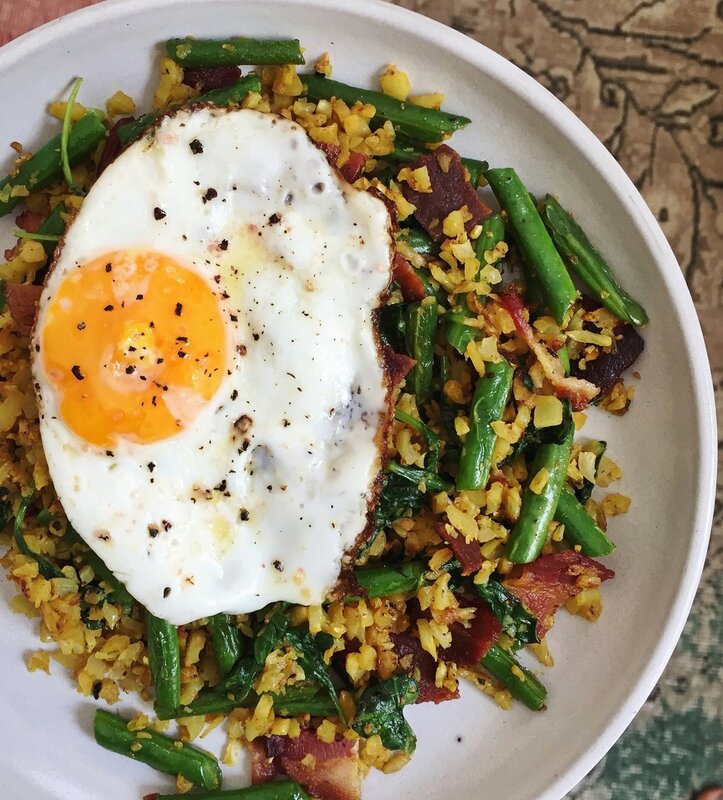 Plate the cauliflower rice and top with an egg or two.